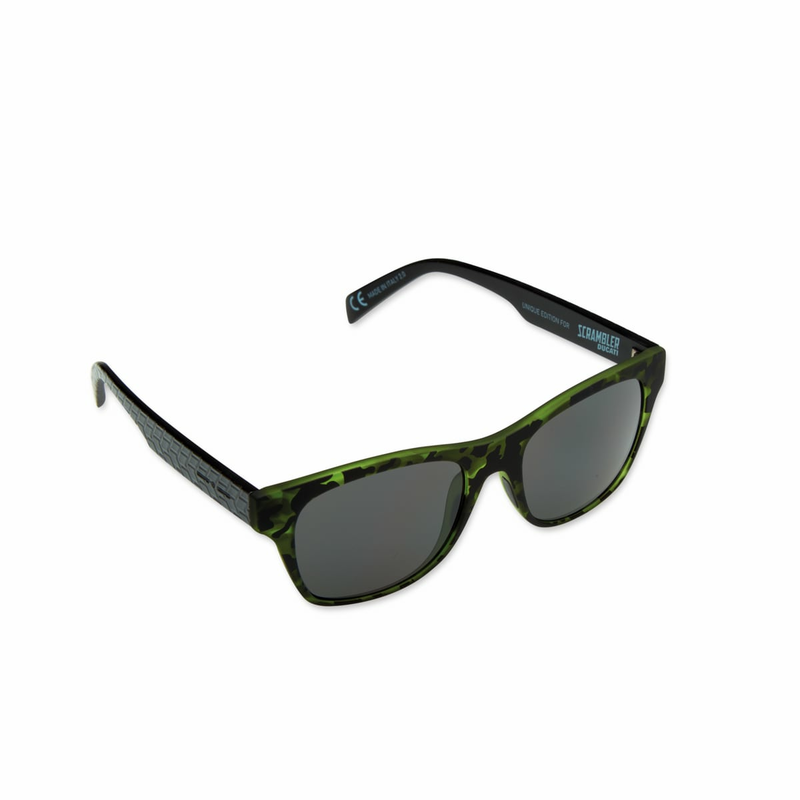 This classic-shaped male sunglasses are created in high resistance plastic. This model, unique edition, has two distinctive characteristics: the dominant army green color, the same upon which the Scrambler model is inspired and the special 3D texture on the temples that recalls the shapes of the motorcycle’s tracks. The smoky lenses match the color of the frame. Original graphic.